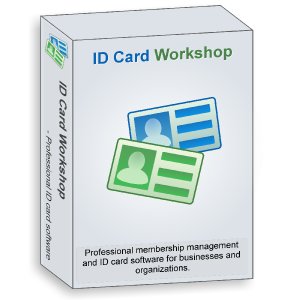 ID Card Workshop Team has released the new version of ID Card Workshop - version 3.5, which enables business owners to establish staff card making and employee management system easily. An employee management system helps business owners to improve productivity, security and quality of management. An in-house system means storing data locally, It it important, since employee data is very important to business owner, you shouldn’t outsourcing staff cards making or data management to third-party. And also shouldn’t share your staff data with any third-party companies. With ID Card Workshop, you can easily operate a in-house staff cards making and employee management system. The software combined with staff/employee management features and id card creating features. With just few mouse click you can establish a management system with its inbuilt templates. Further more, you can verify card's validation, searching staff data by its records seeker features.